Young man from the Western Suburbs of Melbourne, loves his sports. 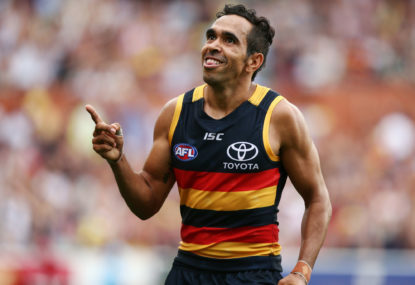 One of the AFL’s all time greats, Eddie Betts, plays his 300th game today when the Adelaide Crows host the Gold Coast Suns. Join The Roar for live scores from the match, starting from 4:40pm AEST. 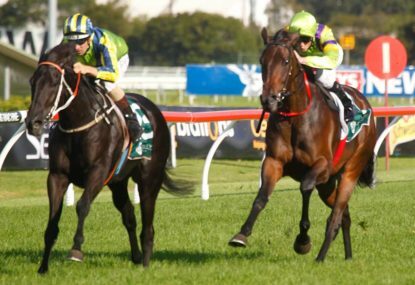 This Saturday, we again head to Randwick for day two of the Championships. 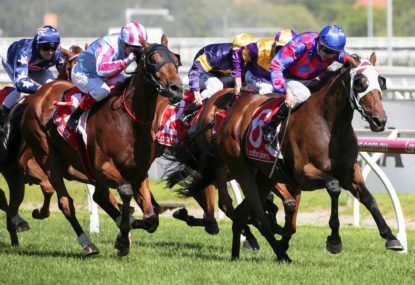 This week, the Melbourne metro meeting is yet again at Caulfield. 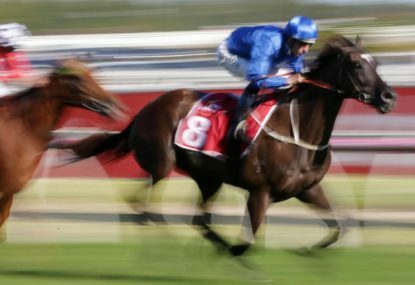 This Wednesday, we again head to Sandown for an eight-race program. 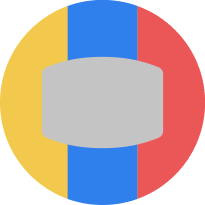 The losers from Round 2 - can they bounce back? Round 2 represented more than just a loss for a number of teams. 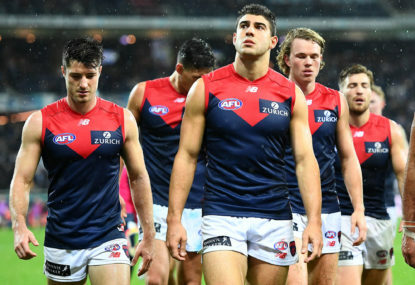 Melbourne were appalling, as were Essendon against a very weak St Kilda team, and Richmond and Sydney will fly under the radar – but they were as equally horrible. 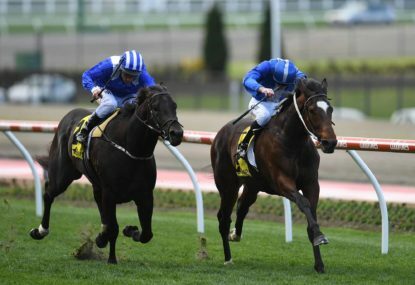 This Saturday, the feature Melbourne meeting is at Bendigo for the Bendigo Guineas and Bendigo Golden Mile day. 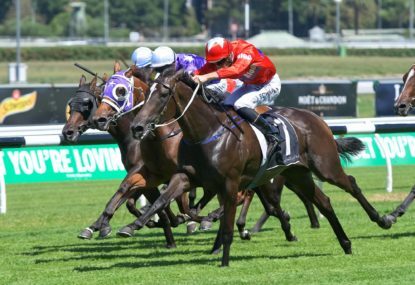 This Saturday, we head to Rosehill Gardens, with the calm before the storm, which is of course the Autumn Championships. 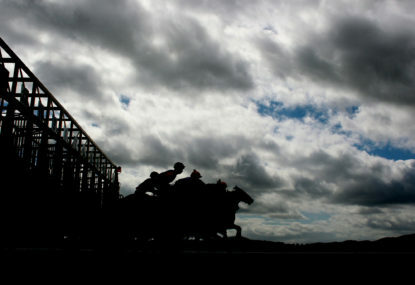 This Wednesday, we head to Sandown Lakeside, where we near the end of the twilight and night racing season. 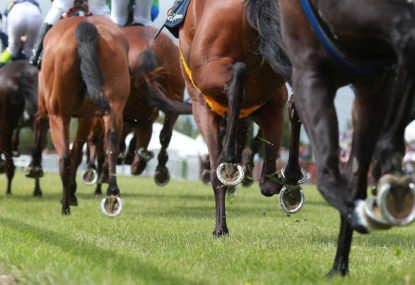 It’ll be an eight-race card, with the feature coming in the last race, a Benchmark 70 handicap. 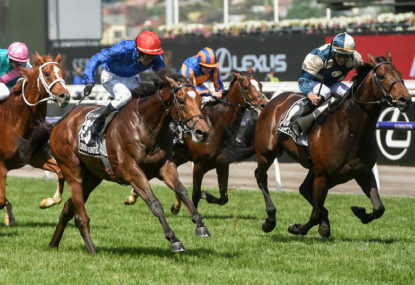 This Saturday, we head to Rosehill Gardens for the first day of the Autumn Championships, headlined by the richest race in the world for the juveniles – the Golden Slipper. 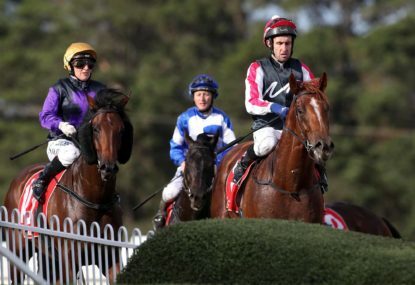 This Saturday in Victoria we head to Mornington, for their feature of the year, which is of course Mornington Cup day. 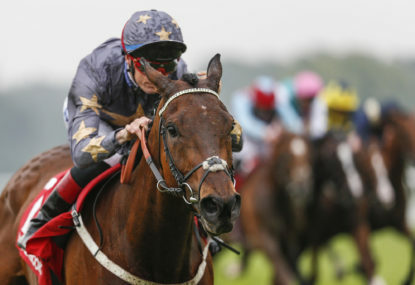 Today we again head to Sandown Lakeside for a twilight meeting. 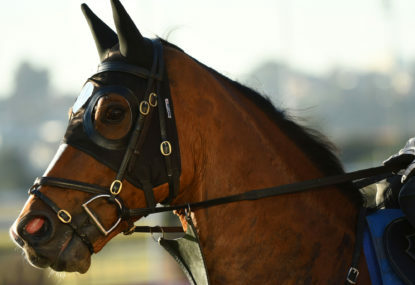 This Saturday we head to Flemington, for the inaugural edition of the $5 million All Star Mile. 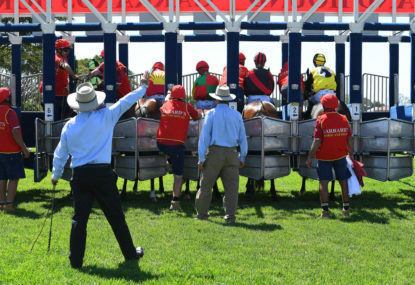 This Saturday we head to Rosehill, where the Sydney Autumn carnival starts to heat up. I don’t get why you keep saying people love potting Carlton all the time? I couldn’t care less to be honest about Carlton, I actually don’t mind them as a club. I’ll call it as I see it though, and will never apologize for that. Also, I don’t think anyone is saying you are wrong for thinking you have improved. People just have differing opinions. I’ll ask you the same question I asked Macca, do you think Carlton are the worst team in the competition? Clearly they haven’t read my “biggest Losers” thread from a few weeks ago Dingo, where I specifically pointed out Melbourne. You’re clearly unhappy to hear some truths spoken about the blues, so I’ll stop there. It doesn’t matter what you traded them for though? Majority of them aren’t even at the club anymore, which means it was basically a waste of time? I don’t know how you are defending that trade. “Dominated” Lynch? You can’t be serious. 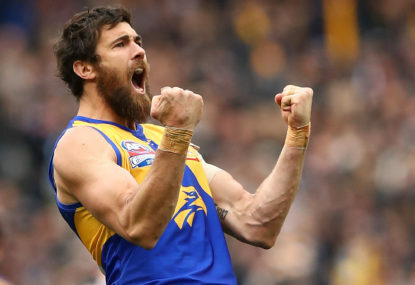 Lynch, who was very rusty in that game, kicked three goals, and dropped two easy marks in the forward fifty, when Weitering was nowhere to be seen. He should have ended up with five or six goals. That’s not getting dominated. Petrevski – Seton is up a whole two disposals on last year. I wouldn’t say that is much of an improvement, considering he only averaged sixteen last year. Chris Fagan was in his second year, when Brisbane were 0-8 last year. Bolton is in his fourth year, and Carlton are 0-4. You’ll be at best 1-7 by round eight by the way things are shaping up. Richmond finished 12th in Damien Hardwick’s second season, and were half a game out of the top four by 2013. Did Hardwick have more talent at his disposal than Bolton did initially? No. Luke Beveridge got the Dogs to a premiership in year three. Even Paul Roos got Melbourne to 13th in his second year, something Bolton has failed to do at Carlton. What part of their two games belongs at AFL level? Neither. I never avoided the full trade. And do you not think Silvagni had something to do with that Jaksch trade? Considering he was at the blues soon after, it does seem quite suspicious. He was terrible in round one. Admittedly, he’s been good over the last three weeks, but that isn’t improving, that’s just having a good month. 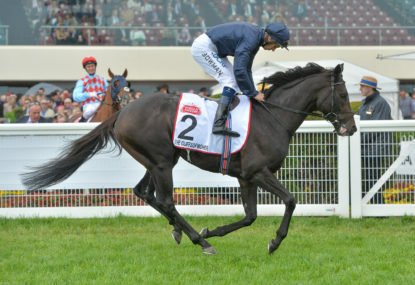 The course of the season will see whether he actually improves or not. Because they’ve played a combined total of seventeen games. Kristian Jaksch, Rhys Palmer, Mark Whiley, Liam Sumner, Andrew Phillips, Jed Lamb and Jarrod Pickett were all bad recruits. I don’t care what you traded for them, as they were just clogging up the list. The jury is still out on some of the draftees, but you would want to see Weitering, Cunningham, Petrevski – Seton and Lochie O’Brien would want to show considerable improvement this year. The Carlton injury list? How many of them players are in your best 22? How was I dismissive of the fact the blues defensive structure caused the swans to over possess the ball? I legitimately said that it’s something Bolton has done well since he got to the club? Yes, they were. When you are at the bottom of the ladder after two months, after not winning a game, you are the worst team in the competition. I’m not saying it can’t turn around, but at this current stage you are the worst team in the league, as were they. Are you arguing that you aren’t the worst team? Trades and draft selections that are great for the club? Which trades and draft selections? Williamson has played fifteen games and averages twelve disposals, and De Koning played two games last year, for a whole sixteen disposals and three hit outs. I’m not saying they won’t be good players, but you can’t have any confidence in them being good players. Well I answered your questions, and you gave me two sentences back. It’s probably best not to comment, if you can’t handle people answering your supposed “questions” which were clearly rhetorical. I agree with that, especially the GWS part. 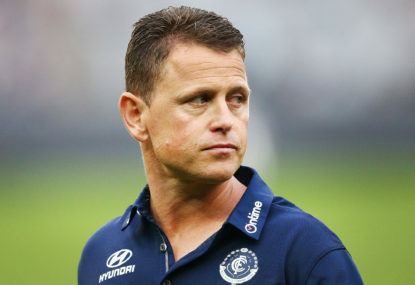 I think Carlton got carried away with bringing a club legend back to the club, and completely disregarded his downfalls, which they are still doing to this day. There’s a lot of questions to address here, so I’ll do them one by one. Was it dewy? Yes I think it was, especially when it became overcast in the second half. Regardless of conditions, do you think having Casboult, Curnow, McKay in the same side is going to work? You would have thought that with the way McGovern plays, you can have one less key forward in the team. Not one more. Did the Carlton defensive structure make the swans use the ball more? Maybe it did, and their defensive structure hasn’t been an issue since Bolton took over. It’s actually something he has done quite well. However, at the moment, everyone’s defensive structure is seemingly making the swans over use the ball, so let’s not act like it’s any great achievement. You’ve still conceded, bar the Gold Coast game, 97 points, 88 points, and 93 points so far this season. In the modern game, you are struggling to win letting teams score that much against you. Do I rate Setterfield, Marchbank and Plowman? No not really, I don’t. Plowman get’s beaten too easily against the good players, and I don’t think Marchbank or Setterfield have shown any signs of being good players, as of yet. Also, regarding the players reaction after a loss, that doesn’t mean anything. Well in my opinion anyway. How many players have acted hurt after a loss, when in reality, they don’t. If they cared as much as you think they do, they would have won that game yesterday. They have more talent on their list than the Gold Coast do, and by a fair way. I don’t think Bolton is a good coach. I had major concerns about him when he took over, and none of them have changed. He doesn’t have any attacking bone in his body, according to his game plan. It was based around defense from the start, and he hasn’t been able to integrate enough attack into it, evident by the damning statistics I mentioned in the article. Regarding Silvagni – He didn’t do a good enough job at GWS, so I have no idea why Carlton thought he was going to do well there. He’s consistently traded, and drafted in players that haven’t been to the standard that they originally thought they would either be at, or get too. Let me ask you a question. If four years ago, I said to you that you would still be the worst team in the competition, would you have wanted either Bolton or Silvagni at the club? We all get some wrong. In my opinion it won’t be anywhere near the best horse out of that race, but you don’t get paid for that! Will be following both Millard Reaction and Green Aeon. Why? They’re completely unproven in finals. They’ve had a good start to the year, but I’d prefer to bank on those that have been good and proven themselves in finals in the past. I think some of the criticism here is because you are a Collingwood supporter, and may be offended that I said they are a long way ahead of you. But anyways..
Liam Ryan is electrifying, you only have to look at how he can turn a game in a five minute period. The things he does lifts a team, but yes, there are other exciting players. That was just my opinion. I don’t think it’s an “opinion” that they are the best team in the competition though. They’re the reigning premiers who were without three of their best players in the finals, and they’ve won there last two, against supposed premiership contenders, with relative ease. Regarding Kennedy, you can say that about every team. Richmond aren’t the same with their injuries which is the perfect example. You don’t judge a team on what would happen if they got rocked by injuries though? You judge it on their best 26 players. I understand that anything can happen in the finals, but that doesn’t mean they aren’t the best team throughout the year, which is what I said. So Their success has nothing to do with Hardwick, and it’s all Caracella? Doesn’t sound right to me. they didn’t win finals, but they were pretty unlucky in two out of three years not to make the top four, and that was when Hardwick had no help at all. I’m not saying that it’s original, but the tigers clearly did it better than basically every other team in AFL history. Their pressure ranking numbers all throughout the 2017 and 2018 seasons, were some of the best we’ve ever seen. You make a good point about the way they play with the new rules. I do think that this has impacted them more than a lot of other teams, but the tigers fans should have faith in Hardwick and the coaching team to readjust. I agree that the tigers style of play has a shelf life, much like Port Adelaide in 2014 with there run and gun style, and then the dogs in 2016, with a very similar game plan than the tigers had. Geelong have copied a very big part of the tigers game plan in the first two rounds. They, themselves have been all about pressure, pressure, pressure this year. The new rules, in my opinion have actually reduced the quality of the game, and the level of scoring, but that debate is for another time. I still think it’s largely intent driven Peter. There’s an argument to be made, that if the tigers bring that manic pressure that we saw for the last two years, other teams simply don’t have have the time or space to kick side ways, and if they do, it brings about mistakes. I also disagree with the statement that Collingwood are better coached. Damien Hardwick, in my opinion, is the equal second best coach in the competition. He took over a team that was supposedly as bad as Fitzroy, and subsequently took them to a premiership. Nathan Buckley took over a grand finalist, took them to the bottom six, and then took a large period of time to have them back playing finals. I’m not saying Buckley is a bad coach, in fact I think he’s very good, but the ideology of him being a better coach than Hardwick is very flawed. I agree on the Brandon Ellis call. He’s had chance after chance, and he’s simply not doing enough to warrant selection. Players like Rioli, Butler, Broad, Castagna and Weller should also be on notice. Without being too harsh after two games, I do agree with the sentiment of this comment. There’s been signs that his style isn’t working for the best part of three years now. They lost their first six games in 2017, which never allowed for them to have a proper run at a premiership, and they finished in the same spot last year, after tapering off in the second half of the season. It’s a huge game against the Blues this week. For what it’s worth, I think Melbourne will beat the bombers with relative ease. And the Kangaroos vs Hawks game will be an interesting one. Both have been good in patches so far this year, but extremely poor in others. Both sides probably should have won on the weekend, but North have more to play for, so they might get the win. Yeah I’ll be writing an article every week. About a variety of things though. You think Essendon will beat Melbourne? I understand that they played well, and executed their game plan perfectly. Although, their were times when Richmond had the opportunity to apply that manic pressure that they are known for, and they just didn’t want to do it. Their depth could be exposed now too, with players like Brandon Ellis and Oleg Markov having to get a game.